It's safe to say that at the young *ahem* age of 29 I have found a fashion style that I am comfortable with and pretty much stick to that on a regular basis. From time to time I might adapt certain trends into my usual style (like this year's off the shoulder craze), but I never steer to far away from my comfort zone. I basically know what I like, what suits my shape and what I feel confident in. So when Boohoo challenged me to take on their Blogger X Dress of the Month project for September, I was a bit hesitant and scared, but excited at the thought so I just bit my lip & agreed to take part. 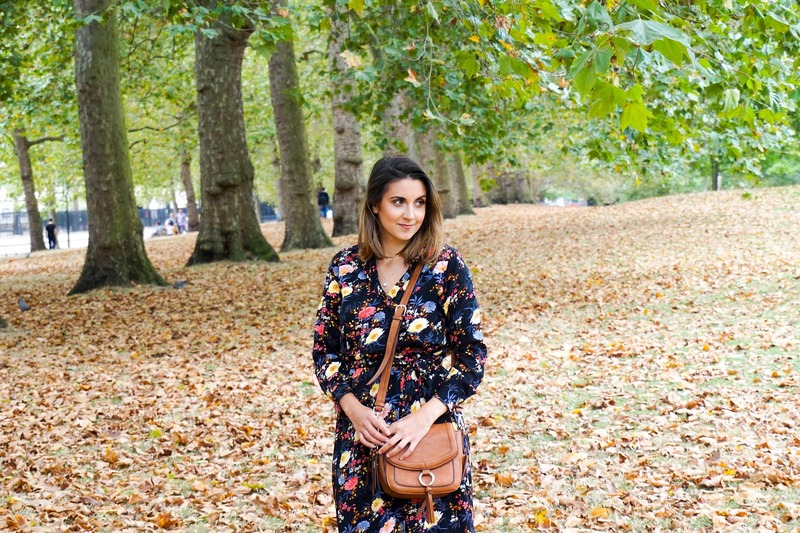 This challenge from Boohoo involves a couple of bloggers being sent out the exact same dress, without knowing any details about it at first (such as the style or how it looks)... it's then up to the blogger to style it their own way. 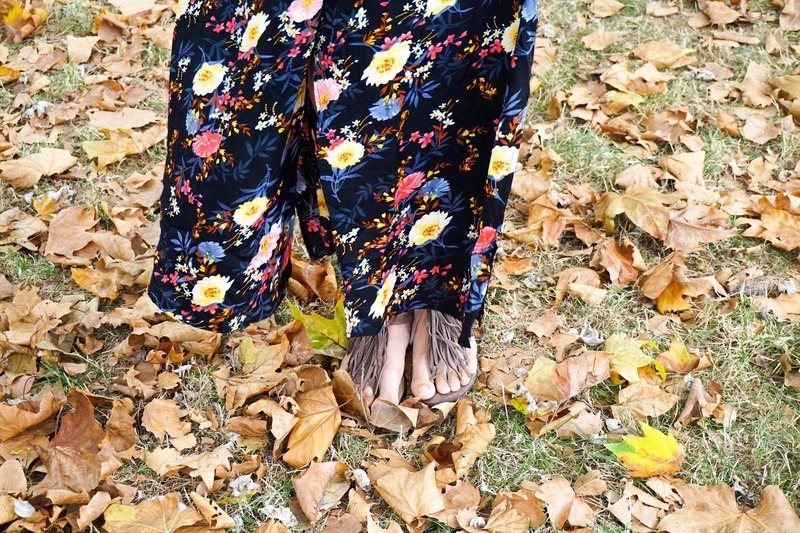 As you can see from the photos this month's dress is the Amanda Floral Printed Maxi Shirt Dress*, which is bloody gorgeous but is it something I would have picked out myself? Probably not as I'm not too daring when it comes to side splits in a dress and looking at this online it's just not something I would imagine myself wearing. Thanks to the Boohoo Blogger Dress of the Month Challenge I had no say in the choice apart from the size (I opted for UK size 10 by the way), meaning I had the opportunity to try something I would have never picked out. I'm so glad to have taken part of the challenge, not only because I stepped out of my comfort zone, but because I have found a dress I've fallen in love with. As soon as I tried on the dress I immediately got compliments from my other half & my daughter Ellie, who said I looked beautiful... so you know you're winning at life if you're getting compliments from a 3 year old right. I absolutely adore the fit of this Floral Maxi Shirt Dress, it just suits my body so well (I'm definitely more on the curvy side and this is perfect). The materials falls beautifully and it turns out the side splits aren't too revealing, in fact they show off my figure perfectly. It requires a bit of effort if you plan on wearing it during a super windy day as you have to make sure you're not flashing anyone, but I guess that a common issue with most skirts/dresses. I also love the Floral design and the autumnal colours since they just work for this time of year and the upcoming transition into autumn (I say upcoming since London is still experiencing a heatwave). I also like the shirt style of the dress and the fact that it has a belt to tie around the waist... I can even see myself replacing the material belt with a brown leather belt in the future for a more personalised touch. The only thing I wish this dress had is buttons on the front as I did find it a bit too revealing with just a bra underneath. However I've fixed the issue with a safety pin tucked in neatly so you can't even see it. I'd also imagine that you could wear a vest or bodysuit underneath during the colder months for extra warmth and as a cover up instead of the safety pin. I've kept the style of this dress quite simple, since I didn't need a jacket (aka it's too hot, melting away) and I wanted the floral pattern to really stand out. I simply wore my Clarks sandals with a fringe finish on them & my new brown satchel from Accessorize, which I just love. I can also picture this dress beautifully with a pair of ankle boots for the colder season ahead. Overall I have no complaints and no issues with this dress, I really do love it and think it's an absolute bargain for the price you pay (£22). 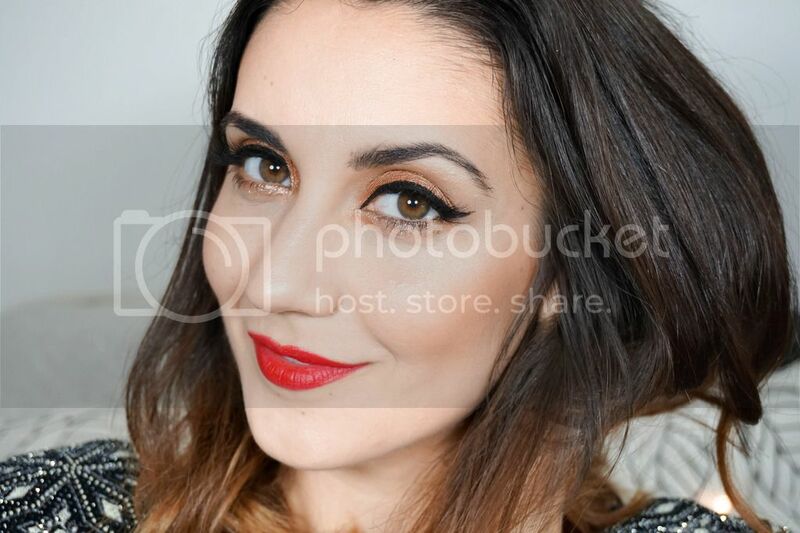 Boohoo have definitely impressed me with this choice and I loved taking part of this fun challenge. Have you picked up anything from Boohoo lately? 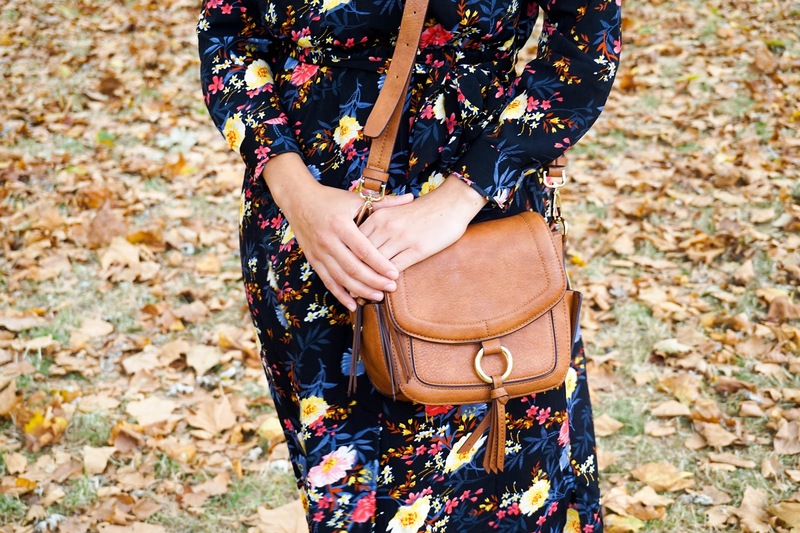 What are your thoughts on this floral dress?